No better way to round out the week than with a group of handsome guys on the red carpet. Here’s who was out and about yesterday (September 7). Armie Hammer: At the ‘Call Me By Your Name’ premiere at the 2017 Toronto International Film Festival, Armie echoed his own baby blues with shades of navy in this Ralph Lauren ensemble, where the suede, double-breasted jacket was the star piece. I’m sure the look had a lot more dimension in person. 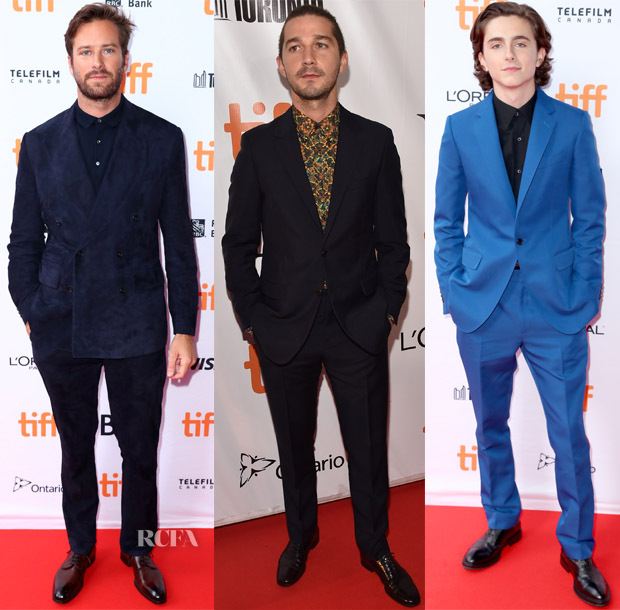 Shia LaBeouf: Also at the Toronto Film Festival, Shia attended the ‘Borg/McEnroe’ premiere, where he emboldened his dark Prada suit with a colourful paisley dress shirt. We’ve seen nearly the identical look on Dane DeHaan. Timothée Chalamet: Joining Armie at the ‘Call Me By Your Name’ premiere, Timothée had another shade of blue in mind with this cerulean suit from the Calvin Klein 205W39NYC Fall 2017 collection. The fit could have been better, especially through the trousers, so as to quell any sort of retro prom references. Charlie Hunnam: There’s something to be said for traditional when it looks this good. 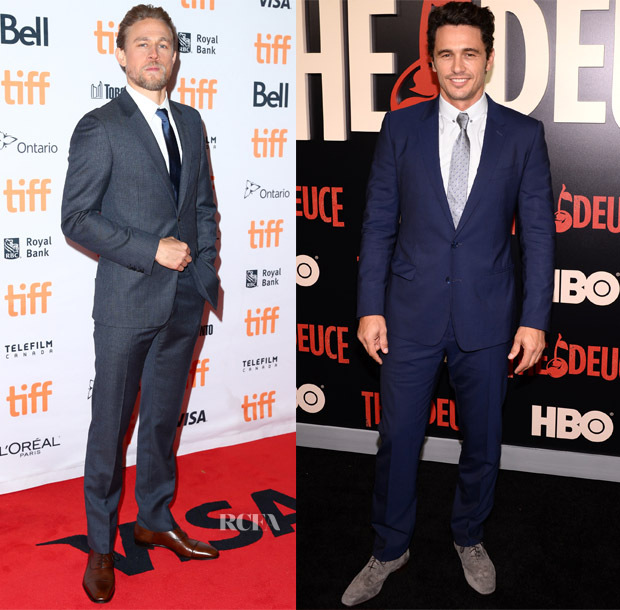 The actor suited up in a charcoal-gray Prada Fall 2017 suit and contrasting mahogany-brown loafers at the Toronto International Film Festival premiere of ‘Papillon’. James Franco: It’s not often my gaze starts at the bottom of a menswear look, but James’ Christian Louboutin gray suede shoes were hard to miss at the New York premiere of ‘The Deuce,’ where he joined Margarita Levieva and Maggie Gyllenhaal.